We print below a translation of a leaflet produced by our German sister organization, the Gruppe Internationaler SozialistInnen, in the wake of the Japanese earthquake and tsunami. As all the world knows, this natural disaster was compounded by its unleashing of a man-made (or rather, capitalism-made) disasters waiting to happen - not least, the Fukushima reactor problems. After weeks of denial by Tokyo Electric Power (Tepco) which runs Fukushima, the scale of this disaster has now been upgraded to Level 7, the same level as that of Chernobyl. It has recently been claimed that nuclear power is the solution to the problems of global warming, and a wave of Green politicians have recanted on their previous opposition to atomic energy generation. By a strange coincidence, such recantation is a necessity for election under a system which behaves as if it thinks that nuclear power is a gamble worth taking. In reality, this behaviour is the reflection of the interests of the capitalist class. has a shoddy history of cover-ups and sloppy safety standards. In 2002 it was found to have routinely lied about safety data relating to cracks in reactors. Now we know it located back-up generators at Fukushima in the basement below the level of what turned out to be a wholly inadequate sea defence wall. There are also suggestions - denied by the company - that it delayed cooling the reactors with sea water to avoid scrapping billions of yen worth of assets. It is clear that the Japanese capitalist class is not unique in its propensity to take risks “on the behalf” of the rest of society. 90 of the world’s 400 or so nuclear power stations are located in areas of significant seismic activity. And it is just as clear that, even if the dubious proposition that it is possible to operate nuclear power stations safely were true, it is still impossible for this to happen under capitalism. We can only echo our German comrades in saying that we have a world to lose if we don’t lose capitalism. Decommission All Nuclear Power Stations by Decommissioning the Ruling Class! Marx said that revolutions are the locomotives of world history. But perhaps they are something quite different. Perhaps revolutions are the hand of the human species travelling in this train pulling the alarm brakes. 25 years after the devastating reactor accident at Chernobyl the world is once again standing on the verge of a nuclear catastrophe. Then, we were told again and again that it was a solely “Soviet” problem. The nuclear power stations in the Western countries with their most modern technologies were safe. 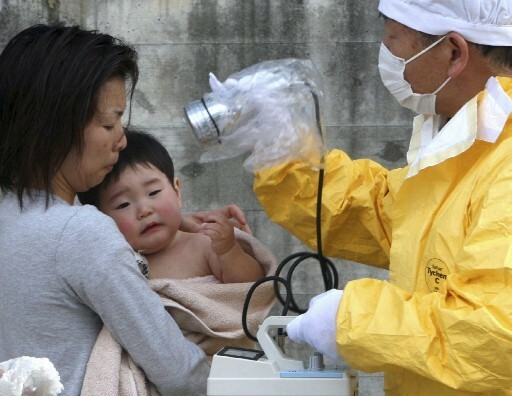 Now the land of high tech, Japan, is threatened by a disaster beyond all expectations. Following the huge earthquake there have been incidents at 10 atom plants. 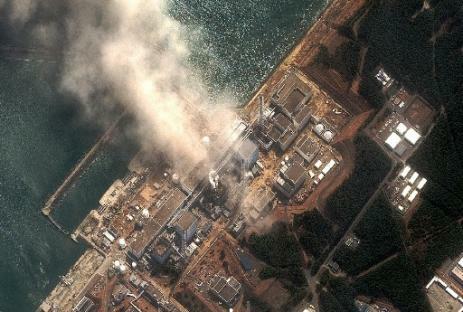 In the damaged plant Fukushima there is still the danger of a melt-down of the core. While the management of its operating firm, Tepco, gushes forth crocodile tears, lies and half-truths, workers are being sent to a certain death, so as to “avoid the worst”. But what could be even worse? In the matter of their policies on information at least, the “democratic” governments are no better than the Stalinist regime after Chernobyl. The news about the real dimensions of the reactor catastrophe is contradictory, real information only comes out in bits and pieces. The German meteorological office has, in the meantime, received the precautionary advice to stop issuing the results of measurements. At the present time, the only certain thing is that large amounts of radiation have escaped. It has appeared in drinking water and the food chain, has contaminated broad areas of the country and threatens the lives and health of thousands of people. The Japanese government and atom industry are notorious for camouflaging and hushing up nuclear incidents. The firm running the Fukushima power plant has kept quiet about safety failings for years, lying and falsifying reports. The business of atomic delusions is, however, in no way an exclusively “Japanese phenomenon”. In the light of the merciless competitive struggle for energy resources, our rulers are betting ever more on the continued planting of atomic time-bombs. Across the world, 65 new .nuclear reactors are under construction. Worldwide, there are at present 212 nuclear power stations with a total of 442 reactors. Many of these nuclear reactors are sited, like Fukushima, in earthquake zones. In itself, nuclear power is not very efficient, very risky and therefore highly subsidized by the state. The radiation exposure in the neighbourhood of a nuclear power station has been proven to lead to a significant increase in cancer. Every atom plant creates dangerous nuclear waste which threatens life and health for thousands of years. However, atomic power is in no way just about energy production. The development of atomic technology was from the beginning due to military motives. Far from serving exclusively “peaceful energy production”, it opened up the option of producing and further developing materials for nuclear weapons. A reactor of the Biblis type produces around 200kg of plutonium per year. Only 5kg is enough to build an atom bomb like that dropped on Hiroshima. The present crisis has led to a worldwide sharpening of inter-imperialist tensions, new wars and arms races. In these sometimes open, sometimes hidden, conflicts between competing national states over zones of control and influence, the option of atomic weapons has shown itself to be other than the last guarantor of interests. Atomic weapons have, however, an exceptional property. They threaten not just individual groups of people but humanity itself. Not just Japan — the whole world has become an exceedingly dangerous place. If You Want to Really Beat the Atom Mafia, You Have to Start with the Greens! To believe the pronouncements of politicians and the media, the anti-nuclear movement has died as a victim of its own success. After last year’s extension of the lifetimes of atomic power stations was bulldozed through, the Federal Government is now well and truly wobbling and has announced a so-called “moratorium” for three months, motivated by electoral tactics. All in all, a manoeuvre which will change little in their present “credibility problems”. Simultaneously, the SPD and Greens are on the starting blocks in the race to put themselves forward as the guarantors of an imminent phasing-out of atomic power. Alongside this, it was precisely them who threw billions into the jaws of the energy firms in the so-called “atom compromise”. In fact, the Red-Green “exit scenario” foresaw a atom plant lifetime stretching into 2030. Until then, the “undisturbed running of atomic power stations as well as their waste-disposal will be guaranteed”. The Red-Green Federal Government eagerly complied with this commitment and shoved through transports with nuclear containers with the deployment of gigantic numbers of police. Their dirty deal with the atomic lobby was, in addition, so vaguely formulated that it could be taken over by the CDU-Liberal regime with ease. Even today, the SPD and Greens are only demanding the decommissioning of the seven oldest atomic power plants out of a total of 17, which, self-evidently, doesn’t stop them from using every rhetorical lever to squeeze capital out of the present anti-nuclear movement. In particular the Greens have perfected the asset-stripping of the anti-nuclear movement and its packing into parliamentary sausage skins, and they have not been marginal in contributing to its domestication. In contrast to some left romantics, we, however, do not see the present actions of the Greens as the betrayal of “old ideals”, or even as the renunciation of the one-time Green leitmotiv: “ecological, social, nonviolent”. “Ecological” always signifies, as the Greens read it, blanking out the capitalist causes of environmental destruction and propagating the reactionary utopia of a “Green capitalism”. The concept “social” was always extremely vague in the programmes of the Greens, but was continually defined in a nationalist fashion. In the first place, it stood for their categorical rejection of socialist change, without this the founding of the Greens as a middle-class party would not have been possible. The claim to be “non-violent” means nothing other than the acceptance of the violence of the state and/or the desire to be the co-executors of “government responsibility”. Just what the “non-violent” Greens were capable of in this regard is shown, not least, by the “anti-fascist” conduct of external wars (Yugoslavia, Afghanistan) and the accelerated internal social war against the poor (Agenda 2010, the passing of the Hartz Law (1), etc.). Just like the SPD and the Linkspartei [“Left Party”], the Greens are not a lesser evil, but just another one in the colourful range of capitalism’s apparent alternatives. Real change is not to be had with, but, on the contrary, only against these parliamentary special units. Deactivate Capitalism! For the Worldwide Social Revolution! The present conception of a planless and irrational nuclear policy, which is propagated by the media and accepted by broad parts of the anti-nuclear movement might be comforting. It communicates the idea that nuclear policy might be changed without questioning and/or having to fundamentally altering the political and economic conditions for it. If there exists no systematic connection between capitalism and nuclear policy, then one can combat nuclear policy without having to combat capitalism. From this, there grows the illusion of bringing our rulers to their senses through parliamentary tricks and public pressure. Such projects, however, given the limited room for manoeuvre that this system allows, remain at best socially unrealistic. Neither a phasing-out of nuclear power nor an energy turn-around is to be had without the expropriation and disempowering of the atom companies. Real ecological changes demand a break with the ruling relations of production and ownership, the worldwide overthrow of the capitalist logic of the realization of value. The barbaric dynamic of the capitalist thirst for profit has long since become a fetter on the further development and survival of humanity. Only a socialistically organized society focused on the satisfaction of human need will be able to solve the problem of the further existence of this planet. The struggle for a society which puts an end to the exploitation of people and their environment is a long and difficult process. There are neither certainties nor sure formulae for success. But, in the end, there is no other alternative! The drama of Fukushima has once again shown that we have a world to lose, if we do not organise to put a stop to capitalism. (1) Attacks by the German state on social security. 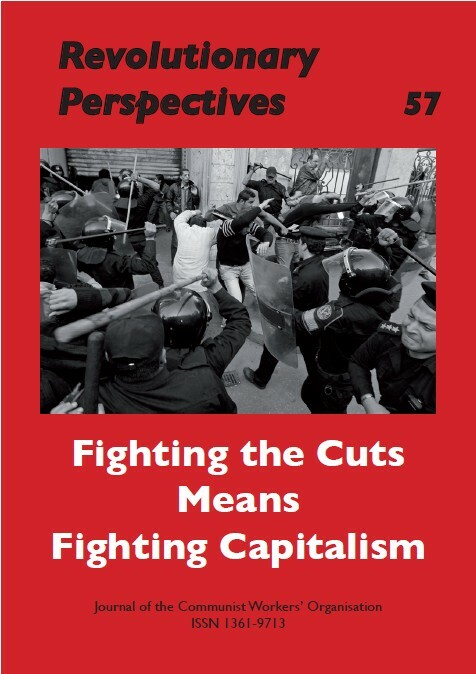 See “Germany is No Exception”, Revolutionary Perspectives 31.